I was reflecting back to a time in my life when I was a child and did an interesting thing. You know, God has a very good sense of humor AND I love Him even more for that! At the time of the event I am about to describe, I was about 10 or 11 years old, living at home with my mom and siblings. I remember being at the front of my house by our tree and seeing a couple of people in very nice clothes, walking on the street. I thought to myself indignantly, “Look at those ‘Bible thumpers’”. Funny thing is that as a child I actually wanted to become a nun. I had a godmother who was a nun and I looked up to her, even though she didn’t live anywhere near me. She lived in Mexico most of her life, but she came to California often enough that I grew to love her very much. There was something about her that I really admired. I realize now that it was her full commitment to a “higher being”. Another interesting fact about me is that I also had a strong urge to pray several times a day at regular intervals, when I remembered, or was asked to do it. I recall how our mom would gather all her children who were still at home, every night, to get on our knees and pray the catholic rosary. We would chant and recite, after our mother, the Lord’s Prayer, say 10 Hail Mary’s, and pray for any ill family members to get better. I even felt guilty if I didn’t pray at least 3 times a day! I had a lot of guilt without knowing why. I would go to confession at least once a month and pay the penance by saying a set of prayers the priest told me to say because that would absolve me of all my sins, for that period of time. I would have to do it every month to make sure I didn’t have any lingering sin. It made sense, since that is how the law works. We break a law, we get a warning or we pay the price, depending on the level of sin or law broken. I did this all my life, until one day, I came to a more intimate realization of who God is in my life. Growing up I went to church with my mom every Sunday, attended the regular festival celebrations to honor the saints and the Virgin Mary. But, I always felt like there was still something missing. It just wasn’t very meaningful. I followed what my mom did because I loved her and I didn’t know any different. I was baptized as a baby (which I don’t remember), did my Holy Communion and even went as far as being Confirmed in the Catholic Church. BUT, it didn’t change the way I lived my everyday life and I still felt a void in my spirit. Even though I had taken two of the three outwardly professions of faith necessary to become a Catholic Christian, I had not experienced any internal or spiritual change that I needed to be “Born Again”, as Jesus says in His word. I had gone through all the catechism classes, met all the requirements, and made at least one conscious public confession, but I was still not living a transformed life. I was living for my personal goals and following the fleshly desires that come with being human. As long as I could go to confession and be absolved of my sins, I was happy enough to keep on living my “normal” life. Of all the people in my family, I thought to myself, “I am not ‘that’ bad”. I don’t sneak around and lie to my mom; I don’t break the laws of the land; I like to help the elderly in my community; I pray almost all the time! ; and on and on I would justify myself. I believed that when I died, I would probably go to heaven, but I wasn’t sure if I would spend any time, or how long I would be in purgatory before that, as is the belief in the Catholic Church, but not biblically sound. I just wasn’t sure. Through the witness of a Baptist minister, while I worked at a homeless shelter in Burbank, California, I received the message of redemption through what Jesus Christ, God’s one and only Son, did on the cross to pay for all my sins, past, present and future! I didn’t understand what was happening to me in my spirit, but eventually, through more prayer and finding a bible believing church, in Yorba Linda, California, I was baptized as an adult, fully aware of the repercussions and what it meant to die to myself and live for Christ. Since then, my eyes have been opened and the veil has been removed. Yet, I still don’t know everything there is to know about God. I am steadily learning and growing in my faith. But, now I am not relying on my self-righteousness and strength to go to heaven. I am relying on what Jesus did for me and for all those who will believe, to be saved from God’s wrath. I am JUSTIFIED in Him; Jesus died for my sins, so it is JUST-IF-HE-DIED in my place. The seeds of faith were being planted in my heart via my mother’s faith through the Catholic Church. I am so grateful to her for loving God with all her heart, soul, strength and mind. She showed me what sacrifice was before I even knew what it was to have my own children, and experience a taste of it. Looking back at all that my mom went through, I can see her love for God through the ups and downs of being a wife and then a widow. She did the best she knew how, with what she was given, which was to pray a lot, to God, to help us through the difficult times and thank Him continually for the good and the bad times. I have seen her faith in action. I see evidence of her belief in the one true God in her heart, not just outwardly. She committed to passing on her faith, what she knew, to her children, especially when the world around her didn’t. I do remember times when even my dad would watch us pray, but he himself didn’t participate. That was later in his life when he was close to dying, but we didn’t know it yet. He was suffering from an illness and I wouldn’t blame him for it. He passed away of a stroke at the age of 42, when I was just five years old. He was also a faithful follower and attender of the Catholic Church, because that is how he was raised. I am thankful for his influence my family’s life. My mom shared some very touching stories of him always being at funerals when a friend of a close relative would pass away, ready to comfort those in need. Remember what I said at the beginning of this story? Fast forward about 30 years….Who’s the “Bible Thumper” now?! I pray it’s on the solid Rock of Jesus! We are just a little more than six months into our stay here in New Jersey. Time has flown by so quickly and I’m afraid there just isn’t enough time and money to do everything we want to do while we are on the East Coast. But, we have gotten to do a lot more than we anticipated already! Just this month we have gotten to visit Valley Forge and Philadelphia, Pennsylvania. We are planning to return to Valley Forge for a home school day with lots of fun learning activities in October. Both locations are only about one and a half hours away from our home base and 30 minutes from each other. Our youngest daughter has gotten bit not once, but twice, by something that caused her to have to take antibiotics, as the site of the bites became infected and swollen. The first bite she got was above her left eye, which caused it to almost shut completely. The second bite looked a lot like a deer tick (Lyme disease). That was scary, to say the least. SO, we have to keep a close eye on her and make sure the treatment was effective. In the last six months, our dog Ezra (whom you can see on the website in our recently posted pictures in the Family, Food and Fun section) had to get 3 rounds of antibiotics for severe skin rashes and allergic reactions. Thankfully both our youngest daughter and the dog are through all of that now. But, I’m praying no one else has any more incidents for a while. 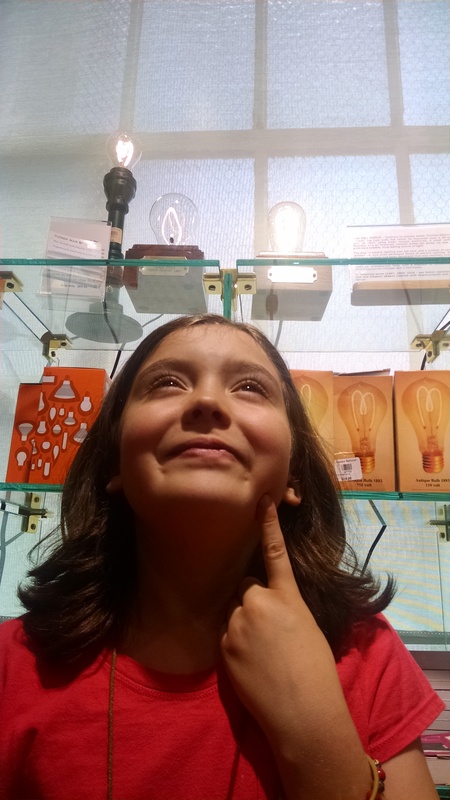 We have also visited the Thomas Alva Edison National Park in West Orange, NJ. It was a very enlightening time! 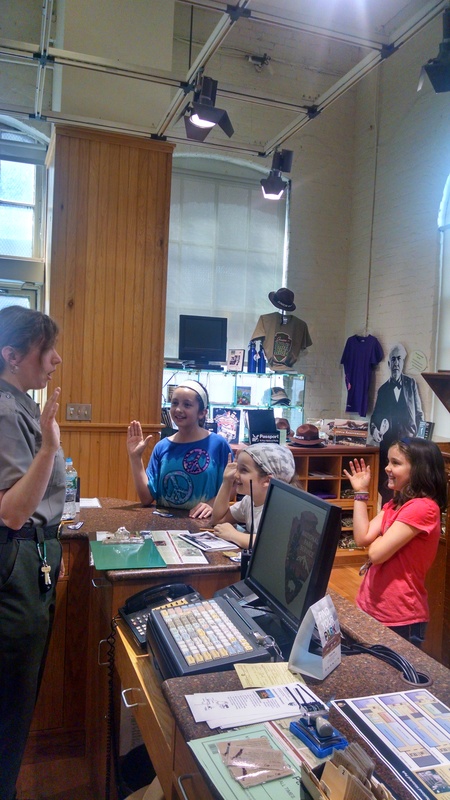 While we were at the park, the girls were sworn in as official Junior Rangers got their patches and badges! Another major event is that we got to celebrate our two eldest daughters birthdays by flying out a couple of their friends and one of their parents, from Colorado!! Our girls had no idea what was to come, but they were definitely pleasantly surprised. You can see photos of that on my website as well. 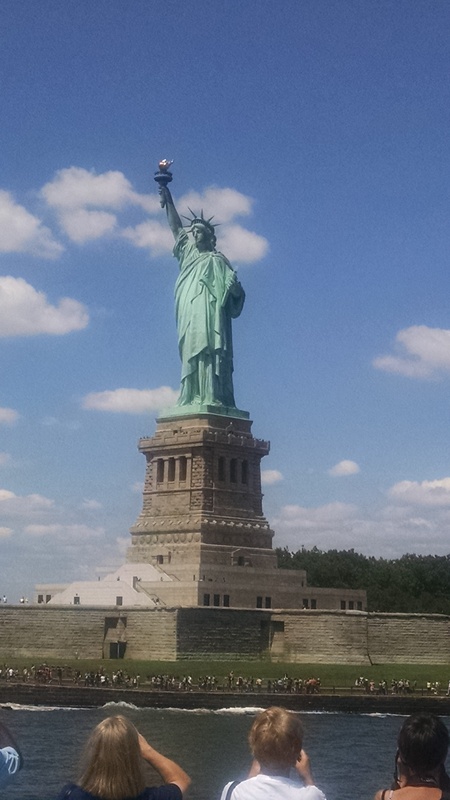 We took our visiting family / friends to see the Statue of Liberty, Staten Island, Ellis Island and the beach, in just a matter of 4 days total. Our home school year and The “Mom Time-Out” and “Tea Time” ministries, I started here, are in full swing. As I mentioned above, the girls have gone on some educational and fun field experiences and I have also been able to fellowship with local Christian and non Christian moms and encourage them in their mothering. In return, I have also been encouraged by seeing what God has been doing through my children’s educational experiences and with these women’s ministries, little by little. My hope is that our children will not only grow in head knowledge, but also in character by ministering to the mom’s groups, as they help me prepare our home and hearts for them. I also have hope that this “home grown” ministry to women will grow throughout the U.S. and even beyond. I have had a chance to meet with the local president of Church Planting from the North American Mission Board, as well as other pastors and leaders around New York and New Jersey in the hopes of spreading the word, to reach moms in their congregations in order to reach and strengthen families. So, these are just a few of the latest happenings in the Gill household. How are you doing? I would love to hear from you. Are you interested in starting a “Mom Time-Out” or reaching out to non-church goers through a “Tea Time” ministry. Contact me and let me know so I can pray with you and see how that can happen, if it’s the Lord’s will. I have posted many more new pictures on my website at http://www.socorrogill.com so go and check it out as you are able. I have many more interesting learning activity pictures to share in the upcoming months, as we travel for school. So be on the look-out.